Wow! 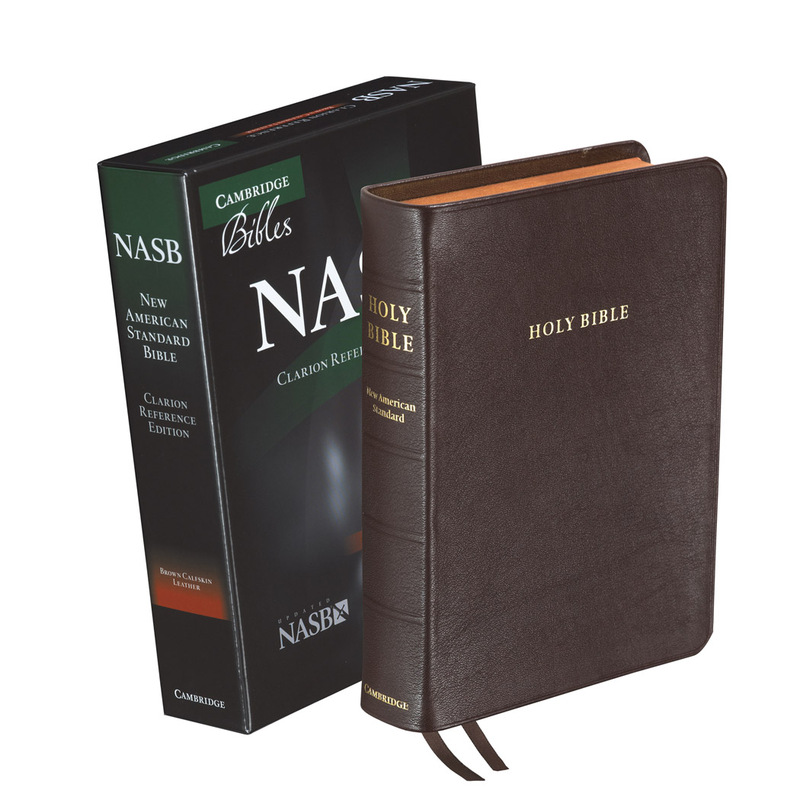 Finally an NASB Bible that is (1) a great size; (2) print size is highly readable; (3) printed on fine paper; (4) durable goatskin cover; (5) absolutely awesome maps, that are filled with useful information, and highly legible as well. This bible feels great, looks great! Schuyler has, in my opinion, “hit it out of the park”. 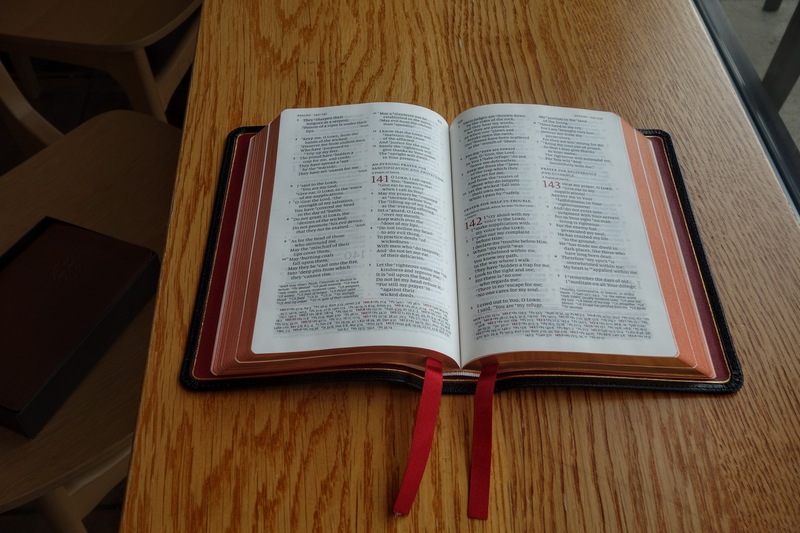 This Bible is becoming my daily reader…can’t say enough. 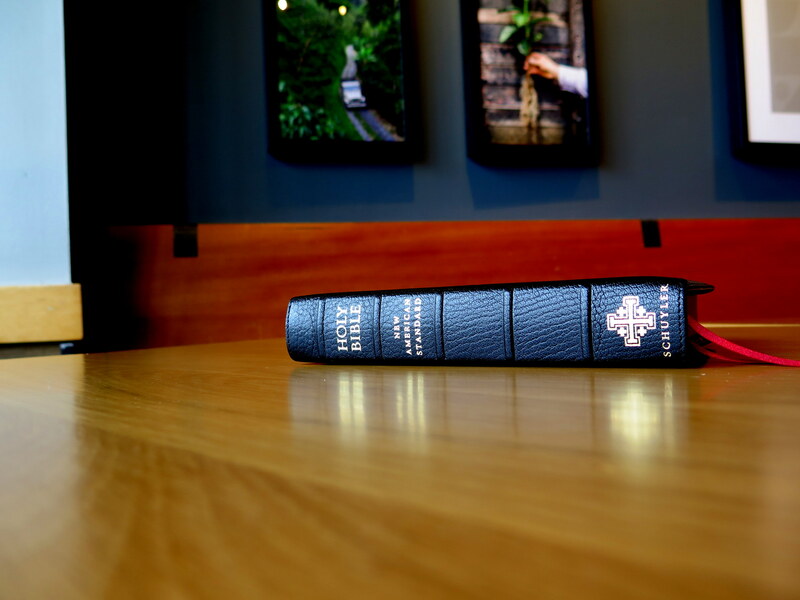 A great companion to my Lockman Wide Margin…Great job Schuyler and evangelicalbible! I just received a much anticipated package today with this bible inside. Quite honestly, this is everything that I was anticipating and more from such a top notch, premium bible. Such a soft, supple cover… incredibly durable-feeling with impeccable binding and lining… ribbons are thick and sturdy… beautiful text layout that is quite easy for me to read (and I love that the references are located on the bottom! )…and, for me, the size is absolutely perfect. This reminds me SO much of my Pitt Minion from Cambridge, but even better. 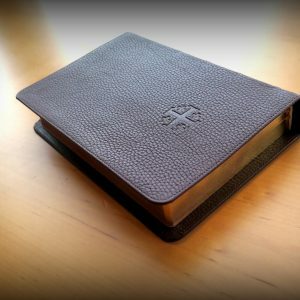 I just received this not that long ago, but after carefully analyzing it and enjoying its craftsmanship, I truly do think this will be MY bible for years and years to come and will be very loved. Thank you so so much to Schuyler for producing such a masterpiece and also to the EvangelicalBible team for making sure that not only my order was just right (I did get mine imprinted-which is flawless, by the way!) but also that it was able to be shipped to me all the way across the country from them within a few days of ordering. You are all awesome. This might be the best early birthday present that I have ever received. If you are someone who is thinking about this bible, I say don’t sleep on it and get it if you can! May the Lord bless you all! Oh my goodness! I just received my Personal Quental, NASB. I love this bible. 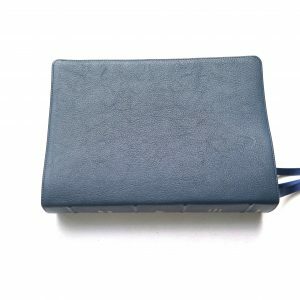 The leather is so soft. 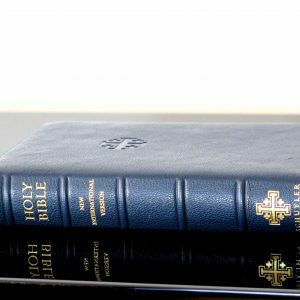 The first part of the Bible doesn’t stay open when laid flat but it will loose up with use. I have a NKJV Quentel coming and I can’t wait for that one. Wished they had is in NASB but I like that version also. I won’t be getting any other brand of bible again. Mind blown and pleasantly surprised when my delivery finally arrived in Australia. I was sceptical about the size. I’m 6foot and big hands. 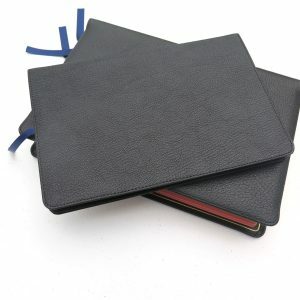 I love it, my goatskin on the cover has a LOT of scaring variations which is beautifully unique. One bit looks flat and ironed another has some deep linear marks even through the cross whereas the back is consistent grain. awesome. Can’t say enough. 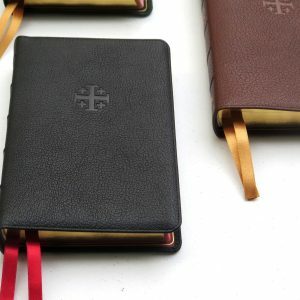 I’ve had it for 3 months now as a daily reader and at first it was tight because of the edge lining bit now it flops open really well because my pages and binding have been worked in. Font and type face beautiful. I bought one for my son but his grain is consistent without too much scaring. Natural grain. 2. The paper is high quality–one of Schuyler’s trade marks. 3. 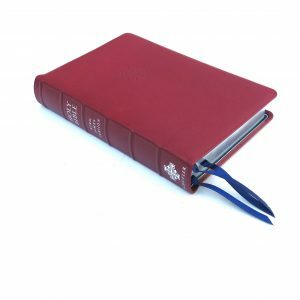 This Bible comes with 2 deep-red ribbons that look very cool. 4. The art-gilt pages are red under gold. Again, a “classy” look. 5. The maps are very nice. There is NO concordance in the back but there are 4 pages of lined paper to write whatever you like. Upon opening the box that my Bible came in, I was concerned because the size of this Bible looked really small (just slightly larger than Cambridge’s Pit Minion). I was almost hesitant to open it–for fear that the print might be too small for me to read (I do wear glasses and my vision is not all that great). BUT LO AND BEHOLD,THE READABILITY WAS OUTSTANDING! I am amazed at how large the print actually is–much more legible than any of my Pit Minions. There is only one negative–and that is the textual notes and cross-references are hard to read (but like I said, at age 66 I will cut Schuyler some slack). If you have really poor vision you should probably purchase the BIG-BROTHER NASB. 1. It is without doubt the most “literal” translation of all the major translations on the market today. 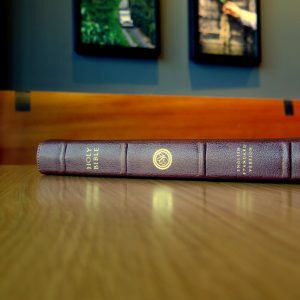 Thus, you will find it perfect for serious Bible study. 2. 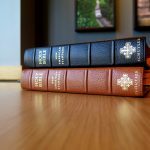 I like the fact that the NASB uses italics for words that are added by the translators–necessary words that allow this translation to make sense. 3. I love it that when an Old Testament passage is cited in the New Testament it uses all-small caps–(which makes it easy to spot). 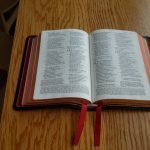 In fact, you might be surprised at how often passages or phrases from the Old Testament are used in the New Testament. 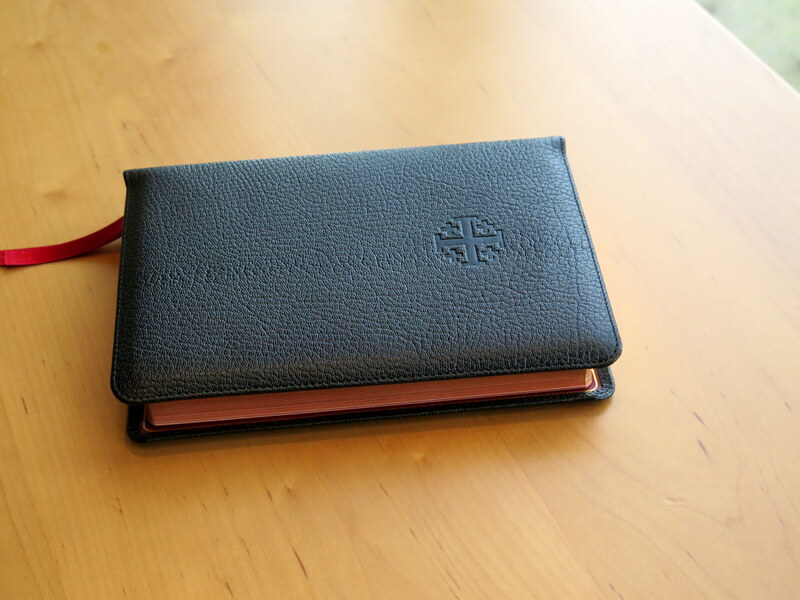 In closing, I am so glad that I purchased this beautiful “high-end” Bible. While some might gasp at the $185 price of this Bible . . .well, if you want to buy a Bible that will probably last a life-time (with reasonable care) and one that you can pass down as an heirloom well, you can buy this rather expensive Bible for its given price OR you can buy your ordinary/typical Bible that will likely fall apart in a year or two or three–leaving you with having to buy another cheapie. 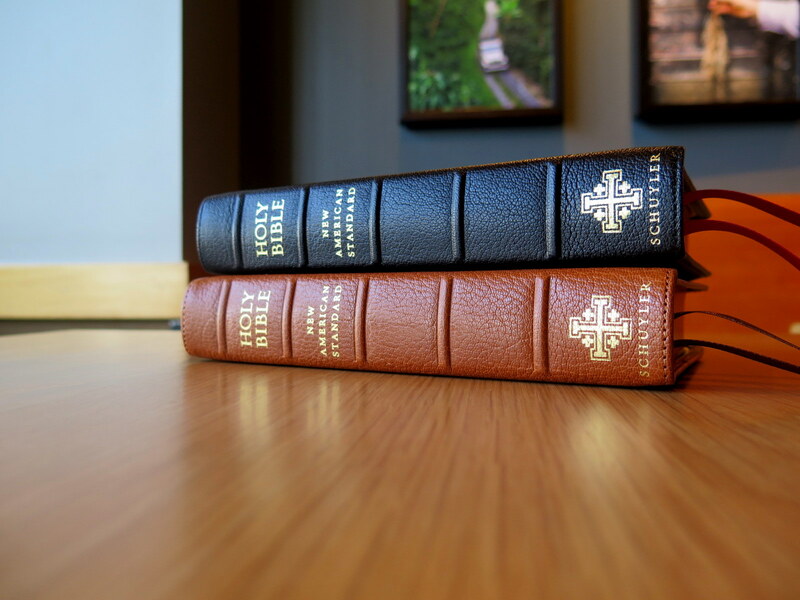 As far as I am concerned Schuyler makes the very best Bibles that money can buy. 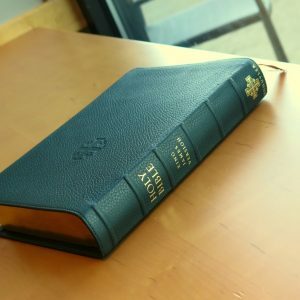 So if you like a Bible with all the excellent features I mentioned in the first half of this review–THIS IS THE BIBLE TO BUY. Thank you Schuyler for making such high-quality Bibles. 2. It has two dark-blue ribbons that look really nice. 3. The red under gold art gilding looks fantastic. 4. The text is SO easy to read (and I wear glasses). Schuyler’s font size is terrific. 5. There are 9 lined pages in the back for writing (16 pages counting front and back. 6. The red-letter edition (which I have) is really nice looking/easy on the eyes). In closing, this is an utterly fantastic bible. I have many, many bibles from Cambridge and RL Alan. This Schuyler beats them all ! 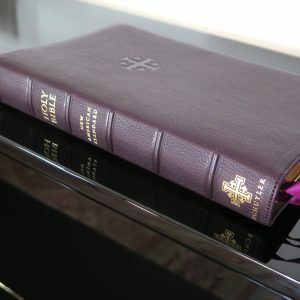 If you are thinking about buying this bible I believe you will NOT be disappointed. I love mine! 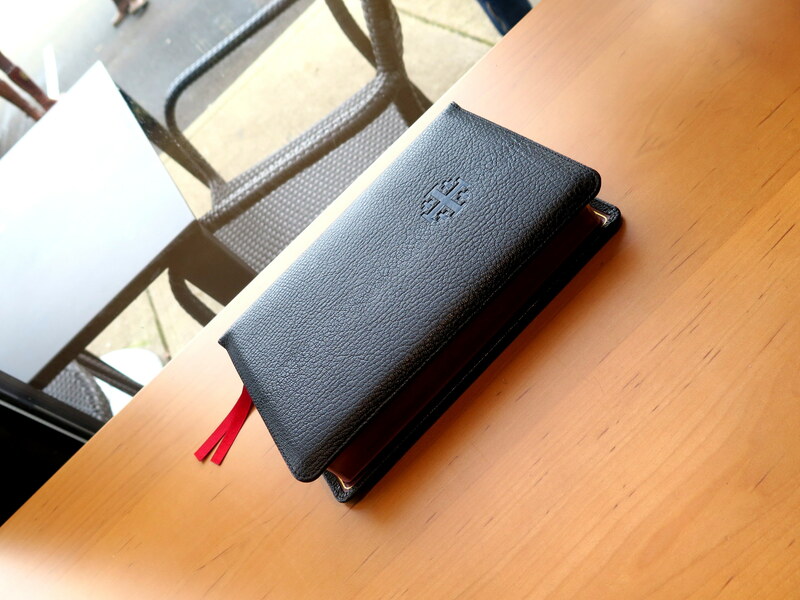 An amazing Bible. I was unsure at first as my Cameo was a lot darker in font. But the more time I’m in it the more lost I become in it. The 8.5 font is super readable due to line matching and that amazing milo font. Definitely the best EDC available. 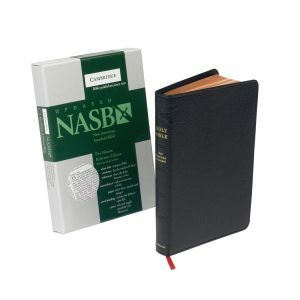 This is a must have for any NASB fan.